Conference of Mayors President Columbia (SC) Mayor Steve Benjamin at the National Memorial for Peace and Justice in Montgomery, AL. The six-acre site includes 800 six-foot monuments that symbolize thousands of racial terror lynching victims in the United States. In the troubling days following the violent and deadly demonstrations in Charlottesville in August 2017, more than 325 mayors signed a Mayors’ Compact to Combat Hate, Extremism and Bigotry, a 10-point pledge to work toward inclusive and compassionate cities drafted by the Conference in conjunction with the Anti-Defamation League. It was the mayors’ immediate and compelling call for action that quickly led the United States Conference of Mayors to commit to the establishment of a Center that would support mayors’ efforts to make cities across the nation more equitable, more inclusive, and more compassionate. Conference of Mayors President Steve Benjamin, Mayor of Columbia (SC), announced plans to establish the Center in his inaugural address in Columbia on May 7, 2018 and again on June 9 in his President’s Address at the organization’s 86th annual meeting in Boston. The Center was formally launched by Mayor Benjamin in Montgomery (AL) in a November 13-14 Conference of Mayors event that included a discussion session with Brian Stevenson, the founder and Executive Director of the Equal Justice Initiative. Early support from Walmart, followed by the Coca-Cola Company and Comcast, was critical to the establishment of the Center. Their support sends a message to city leaders and business leaders that two of the world’s most successful and influential companies recognize the importance of direct action to confront bias and hate with compassion and inclusion. The Conference of Mayors recognizes that the leadership of the business community will contribute to the success of individual mayors’ efforts, and to the overall success of the Center itself. A Conference of Mayors delegation of mayors in Montgomery, AL for the launch of the Center for Inclusive and Compassionate Cities, with Bryan Stevenson (front row, center), founder and Executive Director of the Equal Justice Initiative, which created the National Memorial for Peace and Justice as well as Montgomery’s Legacy Museum that displays the history of slavery and racism in America. Credit unions are often the best banking and credit solution for low- to moderate-income families. Lower interest rates on lines of credit and higher earning potential for savings accounts make local credit unions an attractive option for many, but minorities in many communities can find even more value from working with a local credit union. A credit union is a member-owned, non-profit financial institution where members can deposit money, take out loans, and open a new credit card. Twenty-eighteen has been the fastest growing year for credit unions since 1986, in part because of the value they can offer niche community groups and minorities. By using a minority credit union, one can support a local business while getting services that address specific pain points that affect a certain audience or community. Another banking option, minority depository institutions (MDIs) are often small community banks associated with an ethnic minority group. These institutions usually provide services to specifically benefit the minority community in which they serve. While it may seem that these institutions, whether credit unions or MDIs, cater only to a specific minority population, they aim to serve any person, regardless of race or ethnicity. There are some great benefits to joining one of these banking options in your community, although you should consider all of your options before making a decision. Some advantages to using a minority-owned bank or credit union include reinvesting in your community and helping underserved members of your community build assets and credit, manage debt and build generational wealth. Doing this not only benefits those individuals and their families but adds value and stability to your entire neighborhood. African American Credit Unions, for example, serve some of the most vulnerable communities in the U.S. According to the 2017 FDIC Household Survey, “recent declines in unbanked rates have been particularly sharp for younger households, black households, and Hispanic households.” When banks don’t fit the bill, communities have taken initiative and created their own solutions, including minority-owned banks and credit unions. While it’s no secret that minority-owned credit unions can offer benefits that larger banks or financial institutions cannot, they aren’t always the best fit for an individual’s needs. In some cases, a national or international bank may make more sense for you; it’s important to weigh the advantages and disadvantages in order to make the best decision for you and your family. Credit unions often offer more favorable terms: higher interest rates on savings accounts, lower minimum deposits, lower annual fees, lower APRs on credit cards and loans, and more. They offer payday alternative loans. PALs allow members of some credit unions to borrow small amounts of money at a lower cost than traditional payday loans and allow you to repay them over a longer period. They cater to your specific community. These are local people from a local institution that are serving your community specifically, not areas throughout the entire country. It is personal and personalized to you and for you. You’re supporting your community. Utilizing these minority credit unions serves your community. Help these institutions become more mainstream for your neighborhood. Your accounts are tied together. In a process called cross-collateralization, a credit union may link your financial products. For example, although you may not know it, your credit card may be tied to your checking account, meaning that if you default on the card, in theory, the credit union can pull the funds from your checking account. They can do this if they believe you will default, even before your payments are due. Credit unions may want a little more from you and may hold you to more obligations than a larger bank. If you don’t have excellent credit, you may be asked to take financial education or money management classes, which a traditional bank likely wouldn’t do. Credit unions are limited by area. Credit unions serve specific areas and neighborhoods, and they rarely make up large chains. If you travel often or plan on moving communities in the near future, a local credit union may not be the best option. Credit union credit cards are not likely to have the rewards of major rewards credit cards. It may be possible to find a credit union card with a sign-up bonus, as in the case of the PenFed Gold Visa $100 bonus after spending $1,500 in three months, but ongoing rewards may be hard to find. An alternative would be to use a zero interest credit card. If you do decide that a local credit union is the best option for you, make sure to research what is available in your area. Here is a list of minority-owned credit unions in the U.S. to help jumpstart your search. Minority-owned credit unions in the U.S. Developers willing to comment on how the shutdown has impacted their progress said there have been few ramifications thus far. Juan Carpio, CEO at Viridis Eolia, a company planning a wind project on federal land in Wyoming, said the project is in the engineering phase. It is working on material to be submitted to BLM. Because that process is largely internal, the shutdown hasn’t caused interruptions. A subsidiary of Avangrid Renewables is working on the Camino Solar Project in California, which the company says is moving forward. “If you compare it to module tariffs, that was something where there was uncertainty and delay that affected the economics of the entire pipeline, and that was from April 2017 to January 2018,” Smith said. “Even then, the market has been OK.”Experts said that if the shutdown continues to drag on, it could tighten timelines or delay projects down the line. “I think there will be more projects that have planned for first-quarter or second-quarter closing that have to delay,” said Schiff Hardin’s Fitts. Florida Power & Light yesterday unveiled a solar energy campaign it dubbed “30-by-30,” calling for the installation of 30 million photovoltaic panels by 2030, with an aim of reducing carbon emissions by 67% over that period. PV Magazine estimates the FPL plan calls for deploying about 10 GW, or 1 GW/year of solar capacity, which the publication said would be “unprecedented.” The Southern Alliance for Clean Energy (SACE) pegs the rollout at around 8 GW total — a doubling of the utility’s current 4 GW goal, though the group’s reaction was less optimistic about FPL’s announcement. “While this is a positive jump in solar development, it’s important to note this will not make FPL a leader in solar watts per customer based on their size in the Southeast or the country,” SACE Executive Director Stephen Smith said in a statement. “As with any announcement, the devil is in the details. … we continue to support good policies and actions that maximize Florida’s tremendous solar resource potential,” Smith added. and plans to shutter its lone remaining coal plant later this year. The following is a Viewpoint from Ari Peskoe, Director of the Electricity Law Initiative at the Harvard Law School Environmental and Energy Law Program. Last week, power generation companies asked the Supreme Court to review a pair of lower court decisions upholding states’ Zero Emission Credit (ZEC) programs. Nearly identical ZEC programs enacted by New York and Illinois require utilities to compensate certain nuclear plants for their emission-free power by purchasing credits that represent the environmental benefits of zero-emission energy. In its petition to the Court, the Electric Power Supply Association (EPSA) argues that these ZEC programs are preempted by the Federal Power Act (FPA) because they illegally infringe on FERC’s exclusive authority to regulate rates for wholesale sales of electricity. EPSA’s petitions are part of its concerted efforts in courts and at FERC to undermine state clean energy programs. The heart of EPSA’s petition is its claim that the Supreme Court’s 2016 decision Hughes v. Talen provides states with too much authority to affect interstate power markets. EPSA urges the Court to effectively overturn Hughes and instruct lower courts to invalidate state policies that pay generators in connection with their energy production. If the Supreme Court were to accept EPSA’s view, it would set the stage for lawsuits against clean energy programs that reward renewable facilities for their emission-free energy generation, including renewable portfolio standards in nearly 30 states. The Supreme Court should reject EPSA’s petition. The Court’s carefully crafted legal test in Hughes for preempting state energy policies reflects modern power markets and respects long-standing state authority over utilities, electric generators and environmental protection. As this article explains, the Court’s legal test correctly focuses on FERC’s rate-setting mechanism. Hughes targets only state policies that “operate within” wholesale auctions and leaves intact state authority to enact policies that give generators out-of-market revenue. As with any debate about a federal law, it’s instructive to start with the statute. The FPA grants FERC exclusive authority to determine whether rates for interstate wholesale sales — that is, sales of energy that will be resold to consumers — are “just and reasonable.” The law explicitly preserves state jurisdiction over matters that they had been actively regulating when the statute was enacted in 1935, including generation facilities. When Congress passed the FPA, most power was generated and sold by utilities directly to consumers within that utility’s monopoly service territory. The FPA initially provided FERC with the relatively small task of regulating residual utility-to-utility sales, and left states with authority over all aspects of power plant development and operations. But by the late 1990s, the volume of wholesale power transactions ballooned. Industry restructuring laws passed by about a dozen states catalyzed the development of non-utility power companies and fostered growing demand for wholesale electricity. Meanwhile, FERC reforms enabled generators to sell energy to wholesale auction market operators, such as PJM. These auction markets set just and reasonable rates by stacking generators’ offers by price and selecting resources that can cost-effectively meet consumer demand. FERC facilitated this industry transition by refocusing its duty to ensure just and reasonable rates. Historically, FERC evaluated individual utility tariffs or contracts to sell power by comparing the rate to the utility’s costs and capping utility profits at a just and reasonable level. Today, for sales through wholesale auction markets, FERC has largely abandoned this cost-of-service methodology. Rather than scrutinizing rates received by individual sellers, FERC regulates the auction’s price-setting mechanisms. Rates generated by the FERC-approved auctions are generally deemed just and reasonable, regardless of the profits or losses of individual sellers. Returning to Hughes, the Maryland program at issue departed from this complementary energy credit policy design. Under state-mandated contracts, utilities paid a natural gas power plant the difference between PJM prices for energy and capacity and prices set by the state, as long as the plant bid into and cleared the PJM market. The Supreme Court held that the state’s mandate was preempted by the FPA. The “fatal defect” of the state’s program, according to the Court, was that it “condition[ed] payment of funds on capacity clearing the [PJM] auction.” The test struck a compromise between states and industry. The decision preempted the Maryland policy — as industry requested — but the “fatal defect” test gives states more flexibility to subsidize generation than the legal standard proposed by EPSA and its allies. The Court’s “fatal defect” test specifies precisely how Maryland “disregarded” a wholesale rate. Crafted by the Court for restructured markets, the test preempts only those state policies that are “tethered to a generator’s wholesale market participation.” That Maryland’s subsidy was contingent on the generator bidding into and clearing the wholesale auction ensured that the policy “operated within” the FERC-regulated auction. The fatal defect test’s focus on the bid-and-clear condition correctly interprets FERC’s role in restructured power markets. As noted, FERC exercises its exclusive authority to ensure just and reasonable wholesale rates by regulating the rules of interstate auction markets. By requiring a generator to bid into and clear the market, a state inserts itself into the market and meddles in FERC’s rate-setting process. FERC’s brief filed in Hughes emphasized this point, arguing that Maryland’ bid-and-clear requirement “directly targeted the PJM market mechanism” and was therefore preempted. Cautious about upsetting the balance between state and FERC authority in restructured markets, the Court limited its holding to state interference with FERC’s just and reasonable determination and did not prevent states from compensating an individual generator. In its ZEC petitions, EPSA repeats the arguments that it filed in Hughes and again asks the Court for a broad preemption standard that focuses on an individual generator’s revenue. In EPSA’s words, any state policy that “guarantees favored generators a rate distinct from the auction price” is preempted by FERC’s exclusive authority to set just and reasonable rates. This legal standard would preempt state payments denominated in dollars per megawatt-hour under the theory that the state’s payments change per megawatt-hour wholesale rates. State policies that are not paid out on a per megawatt-hour basis but that have identical economic effects would not cross EPSA’s line. Applying EPSA’s test, states would be free to provide tax credits or direct payments disconnected from energy production or funnel subsidies to utility-owned plants through retail rate cases. The Court’s “fatal defect” test avoids this inconsistent result. It preempts only state policies that explicitly connect the state’s payments to the generator’s participation in the FERC-regulated wholesale market. States may subsidize generation, as long as they don’t directly interfere with FERC’s determination of the just and reasonable rate by requiring a generator to clear an interstate auction. Hughes correctly accounts for the FPA’s preservation of state authority over generation facilities by recognizing that FERC has exclusive authority over the rate-setting mechanism but not over the costs and revenues of each generator selling into the market. Should the Court endorse EPSA’s reading of the FPA and eviscerate its carefully crafted “fatal defect” test, it might jeopardize renewable portfolio standards. If ZECs are an illegal per megawatt-hour payment, it seems plausible that RECs are too. Such a move by the Court would represent unprecedented judicial intervention in energy markets. 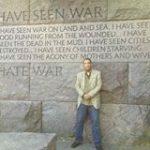 It would not only threaten to overturn policies in nearly thirty states, it would also transfer much of the states’ authority to regulate generation facilities to the federal government. The effect of EPSA’s broad preemption test combined with its continued efforts at FERC to elevate wholesale capacity constructs over state preferences would be to invert the program of cooperative federalism created by the FPA. EPSA’s two-pronged attack on state-authority — in courts and at FERC — seeks to block states from invoking historic authority while also increasing the costs of any remaining state generation policies. The Court’s narrow decision in Hughes strikes the right balance between state and FERC authority in restructured power markets. The Supreme Court should reject EPSA’s requests for a do-over. At the beginning of 2019, the U.S. electric power sector is in the midst of fundamental change and uncertainty. Renewable energy is increasingly competitive with fossil fuels. The Trump administration continues to focus on saving coal and nuclear plants. Distributed resources are upending the economics of the grid. Utilities must deal with all that as climate change presents ever greater threats to their systems and regulators press them to provide more services to their customers. As with any transition, the move to a cleaner and more distributed power system is a multi-faceted disruption, with events across the nation pulling the narrative in different directions. What will rise to the top? The Utility Dive team sat down early this month to lay it out. Announcements like those dovetail with conversations in Washington about what to do with retiring coal and nuclear generators, as well as emerging discussions about a Green New Deal in Congress and state capitols. Advocates of a Green New Deal are “advancing discussions that have not happened in Washington at least since the last administration,” I noted during our chat, but the policies being discussed are more ambitious than the market-based initiatives like the Waxman-Markey energy and climate bill pushed during the Obama era. Even with growing public concern over climate change, Congress is unlikely to pass any meaningful clean energy or environmental policies this year. Action is more likely, however, in a handful of states that elected pro-renewable lawmakers last November. But the story on the state level isn’t all about clean energy, Morehouse cautioned. Dozens of states are also grappling with how to handle the persistent issue of coal ash as the White House attempts to roll back disposal regulations finalized under Obama. The UD team also talked about FERC action, skipping the natural gas “bridge,” and the threat of a coal and nuclear bailout that still hangs over Washington. Against the backdrop of global climate change, “energy equity” translates into the fair distribution of benefits and burdens from energy production and consumption. The Partnership for Southern Equity works with its partners to educate and engage low-income communities and communities of color about the benefits and burdens associated with power generation in Georgia and across the southeast. While unfamiliar to many, these policies significantly impact household utility bills and negatively impact the overall quality of air, water and other natural resources that affect our health and well-being. Meet once a month: Seven sessions that meet on Saturday Full-Day (6-8 Hours). The opening session in February will include Friday Evening. Selected Fellows Announced and All Applicants Notified. Applications can be received in one of the following ways: 1) in person at PSE office or PSE community event, 2) by mail, or 3) electronically. Deadline for application is January 18, 2019. Electronic Submittal: Application packets must be emailed to info@psequity.org with the subject line – Just Energy Academy or submitted through this google form (preferred). Below are the descriptive questions and requirements for the application. The online form can’t be saved and resumed once it is started so it may be helpful to prepare these answers prior to opening the online form. Please discuss your ability to commit to the Just Energy Academy and what might hinder your commitment to attend the sessions? Provide us with a brief synopsis of your story and how it relates to your interest in the Academy. Describe your special skills and talents that you intend to contribute to the program. You may also submit a résumé, curriculum vitae, or additional information that you feel is important to note when considering your application. Please limit your attachments to no more than three pages. The Just Energy Academy is a volunteer leadership development opportunity provided by the the Partnership for Southern Equity. It is also a competitive program. This means that if you are accepted, it is expected that you will commit to fully taking advantage of the opportunity that has been entrusted to you and will be accountable to your peers in the group for your participation. You will be expected to attend all required training sessions and activities, with only two excused absences allowed. The group will discuss any obstacles that individuals may have to participation, such as child care or transportation, and consider whether it is possible to address those. You will be provided with training and leadership development, networking opportunities and an opportunity to positively impact your community. D.C. is our hometown and where Solar United Neighbors got started. Since 2007, we have been fighting to ensure solar is accessible and affordable to all District residents. We welcome all residents of the District of Columbia and surrounding areas to take part in the annual Dr. Martin Luther King, Jr. Peace Walk and Parade. Our D.C. advisory board provides strategic guidance to our work. Members do not have fiduciary oversight but provide strategic direction to the program. They are members of successful solar co-ops, solar champions, and leaders in the community. Sherrill Berger Born in Uvalde, Texas, but raised in Washington, D.C., Sherrill studied classical ballet at the Jones-Haywood School and later danced as a principle soloist and taught with the well-acclaimed Capitol Ballet Company (CBC). Later she joined the Smithsonian Institution’s Museum of American History, served as an educational tour guide with the Smithsonian Associate International Study Tours in Asia, and Europe, worked for the Carnegie Institution for Science as a prospect researcher, and was instrumental in establishing the Capital Science Lecture Series. 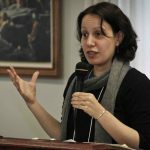 She also directed several non-profit organizations, including Saving the DC Public Libraries Renaissance Project, the Mount Pleasant, Brookland, and Bloomingdale neighborhood Main Streets. 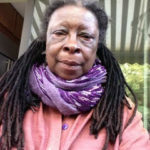 As a community activist she was a member of Neighbors Inc., Development Corporation of Columbia Heights, founding member of Mount Pleasant Solar Coop, Solar United Neighbors of D.C., PowerDC, Grid 2.0, and co-founder of the re-established DC Consumer Utility Board. Sylvester Bush Sylvester Bush is a resident of Ward 7 and help form a new solar co-op in Wards 7 and 8, the East Of The River (EOTR) solar co-op. 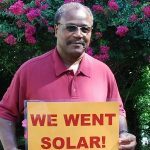 He ensured that residents of ward 7 and 8 were educated and engaged around solar. Sylvester is the owner of a local business, the MGS Group, Inc. Guy Durant As leader of the first Brookland Solar Co-op, Guy has been instrumental in bringing solar to his community. 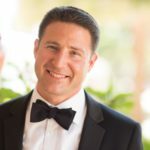 A technology professional with over 18 years of technology management and SE & IT leadership, Guy currently works at Waterman Engineering and Consulting, LLC. He has a strong background in health IT project management and clinical trials research. He is also an active member of the Plymouth Congregational Church. Joelle Novey Joelle Novey directs Interfaith Power & Light (DC.MD.NoVA), which supports hundreds of congregations in the DC area to respond to climate change. 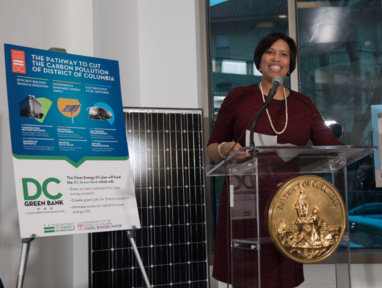 She’s grateful for years of partnership with Solar United Neighbors of D.C., helping faith communities to get their facilities’ energy “from heaven” and helping members of area congregations to connect with solar co-ops in their neighborhoods. IPL-DMV’s has put together solar resources for congregations. Robert Robinson Robert Robinson came to D.C. after 18 months organizing elections in Texas, Illinois, Pennsylvania, and Ohio for the Jimmy Carter Presidential campaign. He hired onto the Marion Barry for Mayor campaign in 1977 and worked as an administrator for the Executive Office of the Mayor agencies. He managed successful Council campaigns and a councilmember’s staff. He and his wife Sherrill went solar with the Mt. Pleasant Solar Coop and were founding members of Solar United Neighbors of D.C.
Pennsylvania’s breakthrough collaboration of private sector, utility, legislative and regulatory leaders may be the template for a national transportation electrification program that can drive the next wave of market expansion. Supportive policies in California, New York and Washington have led to market-leading EV sales. But policymakers in states like Ohio, Maryland, New Jersey and Pennsylvania are working on laws, regulations and guidance to drive the next stage of growth. Some say Pennsylvania has put together the right mix. Pennsylvania has already taken three big steps. The Department of Environmental Protection (DEP)-led Drive Electric coalition drafted an EV Roadmap. A November Public Utility Commission (PUC) ruling clarified private sector charger providers’ rights to set their own prices. And a utility’s pilot charger deployment proposal was endorsed by a major private provider because of the principles it embodies. ChargePoint, the global charging station leader, supports the six Guiding Principles in the Duquesne Light Company proposal to own and operate charging stations, Director of Policy Kevin Miller told Utility Dive. Among current state policy efforts, these principles “are a landmark in utility program design because they allow utilities to complement the competitive market and increase customer choice,” he said. Though still in its early stages, the national transition to electricity-powered transportation is accelerating, with more EVs sold and charging stations deployed every year. The U.S. now has more than 1 million EVs on its roads, with California in the lead, followed by New York, according to the Edison Electric Institute. But it is Pennsylvania, 12th in 2017 EV sales, where the combination of guiding principles, legislation and collaboration among utilities, private providers, policymakers and regulators may add up to a template for how to move the market into its next phase of development. South Carolina regulators on Monday concluded SCANA executives acted “imprudently” by deliberately misleading the Public Service Commission (PSC), the Office of Regulatory Staff (ORS), the public and investors about the financial condition of the V.C. Summer nuclear project. The vote came as the PSC rejected appeals to their December decision, allowing Dominion Energy to acquire SCANA and its subsidiary, South Carolina Electric & Gas (SCE&G). The new finding will not impact the acquisition or a planned rate decrease, but could signal greater scrutiny down the line. The Securities and Exchange Commission in 2017 launched an investigation, following allegations in a shareholder class action lawsuit that SCANA executives made “false and misleading statements” on the Summer project. A 2015 analysis of the project by construction giant Bechtel concluded the project timeline was too ambitious and costs were skyrocketing, but those warnings were removed from the final version presented to state officials. Lucas’ office did not respond to requests for comment on the PSC’s decision, but his filing with the commission was made in support of a petition by ORS for a specific ruling on SCE&G’s imprudence. ORS Executive Director Nanette Edwards issued a statement applauding the decision, which concluded SCANA executives acted imprudently beginning March 12, 2015. 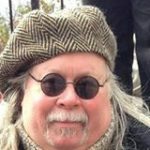 “We believe it is of vital importance that a legal finding of imprudence on the part of the utility be issued not just to satisfy the law but to send a message to all utilities regulated by the PSC that statutory compliance, transparency and accountability are requirements that cannot be violated without penalty,” Edwards said. Here we’ve compiled data to show you just how much energy costs can vary, including historical electricity prices from the U.S. Energy Information Administration (EIA) in all 50 states and the District of Columbia. Familiar with energy choice and want to sign up for a new plan? Enter your ZIP code above for rates you can secure today. October 2018 data, the latest available, show that the average U.S. price – 12.87 cents per kilowatt hour (kWh) – rose 0.5% compared with a year ago. If you live in Louisiana, you paid the lowest average residential electricity rates of any state in the country – 9.11 cents per kWh. The next lowest rate is in Arkansas, where residents pay an average of 9.34 cents per kWh. Also once again, Hawaii residents pay the highest electricity rates in the country. Below are the 10 most expensive states to live in based on residential electricity rates. The average home in the U.S. consumes 897 kilowatt hours (kWh) of electricity per month. Bills vary by state and region, as cost per kWh differs. To estimate average monthly energy bills, multiply the average home’s electricity usage (897 kWh) by the cost per kWh in your state for that month. For example, the average cost per kWh in October for Iowa homes was 12.82 cents, which amounts to an average bill of about $115 (12.82 cents x 897 kWh) that month. Find your state on the interactive map below to see the latest average rate, its rank among other states and the percentage change from the previous month. In 2018, we kicked off the Choose Energy Price Index, a proprietary tool that combines the average electricity rate by state with a state’s average monthly usage to produce a number that reflects average monthly bills for a state. The index is a ratio of that state’s average monthly bill compared with the average U.S. bill. Residents of Virginia paid an average of 11.90 cents per kilowatt hour (kWh) for their electricity in October, the 20th-lowest rates in the country and well below the U.S. average of 12.87 cents/kWh. However, they use an average of 1,120 kWh per month, well above the U.S. average of 897. That leaves the state with a Choose Energy Price Index score of 115.2, which places it 42nd nationally. In other words, prices and bills aren’t directly correlated. Choose Energy will track changes using the index on a monthly basis. Electric rates for companies vary greatly by industry and function. Although homes come in all shapes and sizes, businesses have larger variations with diverse needs – from industrial buildings to mom-and-pop businesses. In October, for example, the average business in Florida paid 12.40 cents per kWh. With this number, we can deduce that on average companies in the state paid about $585 that month for electricity. See the Choose Energy Business Energy Index for a more in-depth look at commercial and industrial electricity rates. Are you a journalist or researcher writing about this topic who needs to know more about historical rates? Send us details about what you need and we’ll get back to you with an answer and a relevant quote from one of our rate experts. You should also check out the Choose Energy Data Center for more statistics and analysis centering on energy in the U.S. The cost of fueling your car with gasoline vs. electricity in your state. Plus electric vehicle sales by month. The cost of natural gas in your state. The sources of electricity in your state. 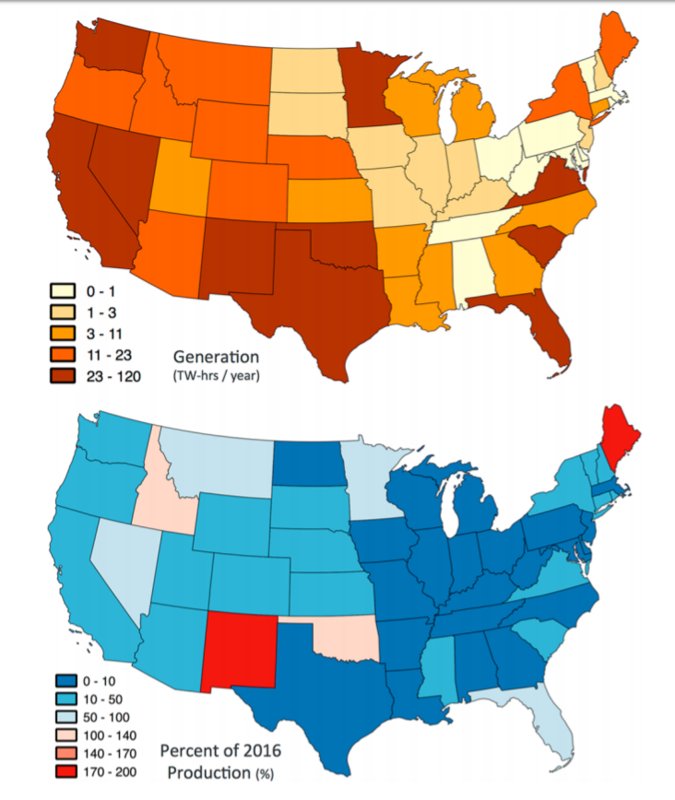 Solar, wind, and nuclear energy generation by state. Due to the volatility of the energy market, energy supply prices may fluctuate throughout the year. From October 2017 to October 2018, Hawaii experienced the biggest fluctuation in Residential Energy Rate electric prices, while New Mexico had the most consistent prices. What time you use energy: Some energy suppliers offer plans with time-of-use discounts, such as free energy supply from 9 p.m. to 6 a.m. If you are confused about any of the terms used, check out the Choose Energy glossary to learn more. Energy comes from many sources, including coal, natural gas, nuclear and renewables. As nonrenewable sources such as coal diminish, the need for renewable energy sources grows. Some states satisfy the country’s growing renewable energy needs with their production of wind, solar and hydropower. Wind: Texas has the capacity to generate 18,500 megawatts hours of electricity through wind – and expects to add another 5,000 megawatts of wind generation capacity from facilities under construction. Solar: California’s solar farms and small-scale solar power systems have 14,000 megawatts of solar power generating capacity. Hydroelectric: Washington hydroelectric power produces two-thirds of its net electricity. The largest hydro plant is located at the Grand Coulee Dam in the northern part of the state. National Renewable Energy Laboratory (NREL) researchers announced last week that the United States has the technical potential to install 2,116 GW of floating photovoltaic (PV) systems in the United States. By the end of 2017, the United States had only seven floating solar projects representing a small fraction of the total 198 MW installed internationally, largely in Japan. The biggest barrier to increasing floating PV development in the nation remains the amount of risk associated with the technology’s operation and manufacturing, NREL researchers told Utility Dive. The high-level analysis references the potential benefits and impacts from developing in about 24,400 man-made bodies of water. NREL researchers are pursuing data-collection studies, estimated to begin as soon as spring of 2019, to conduct a more technical analysis of the operational and maintenance costs of a floating solar project in the longer term. As states move to decarbonize the power sector, the nascent technology offers an alternative to expansive, land-based solar arrays. NREL published the first top-level analysis on the developmental potential of floating solar panels in December, in the Environmental Science & Technology journal, as the researchers pursue funding for further analysis. Researchers plotted utility prices by state and the amount of availability in man-made bodies of water that had restricted use and were within 50 miles of transmission lines, to see the where the development potential was greatest. The technical potential of installing floating solar systems in 27% of the water bodies deemed eligible by NREL would yield annually about 9.6% of the U.S. electricity production in 2016, or about 786 TWh per year. The potential annual generation of floating PV systems covering 27% of feasible U.S. water bodies (top) compared to how much that annual generation would cover the electricity production in 2016, (bottom) by state. But the study is only a starting point to a robust assessment to quantify the impacts and the benefits of the system to the man-made body of water. “I think knowing the potential provides motivation to even start answering those questions,” Robert Spencer, co-author of the paper, told Utility Dive. Based on the existing examples, the technology works, but Spencer noted the need for further analysis to test how the systems hold up in the long-term, to give prospective investors something to hang their hat on that’s more than an anecdote. In that regard, NREL has some proposals on floating solar power pending with the Department of Energy. “There are some very basic questions that still need to be answered that many private companies don’t have the infrastructure … to evaluate,” Jordan Macknick, an additional co-author on the paper, told Utility Dive. Pending negotiations of a funding agreement with an unnamed client, NREL will also partner with the French floating PV developer Ciel & Terre International to install instrumentation equipment at a new 75 kW floating solar facility in Walden, Colo., close to NREL’s location outside Denver, that came online in 2018. Floating solar systems can be set up very quickly and could be a useful carbon-free solution for a state with land-use restrictions, such as Connecticut, according to Macknick. The study targeted man-made water bodies for floating PV development because, like rooftop-sited solar, their presence might indicate “higher populations, higher land-use constraints,” and a need for a different option of resource to site renewable energy, Spencer said. Additional technical and environmental benefits need to be further tested, Macknick said, to bring “field-based validation” to the potential benefits of floating solar systems, such as curbing the growth of algae blooms around the equipment by lowering the amount of air that reaches the water. Another potential effect is reducing the amount of water that evaporates, as the systems would absorb the heat from solar radiation that would otherwise be absorbed by the water, according to the study. “It has been certainly an area of interest from hydropower operators because the water is their fuel,” Macknick said, noting one operational floating PV system in Portugal has been paired with a hydropower facility. The results have not been fully quantified. DEEP DIVE: The state’s IOUs are on track for 50% renewables by 2020, but the goal is 100% clean energy by 2045 and there are still unanswered questions on how to reach it. Most of the state’s load serving entities (LSEs) required to meet the SB 100 mandate of 60% renewables by 2030 have met their 2017 interim requirement of 27%, according to the California Public Utilities Commission’s (CPUC) latest annual RPS report. California’s three dominant investor-owned utilities (IOUs) have reached 33% renewables and are on track for 50% by 2020. California’s grid operator has not taken on the 100% emissions-free goal yet because the CPUC’s integrated resource planning (IRP) process “has not reviewed the implementation of SB 100,” California Independent System Operator (CAISO) spokesperson Anne Gonzales told Utility Dive. A “preferred system plan” is expected some time in the first quarter of 2019. One set of potential answers for moving toward California’s zero-emission ambitions can be found in ten scenarios described in an Energy and Environmental Economics (E3) paper prepared for the California Energy Commission (CEC). The scenarios include high levels of energy efficiency, renewables and transportation electrification, but vary on biofuels and building electrification. The E3 paper’s “four pillars” of deep, economy-wide decarbonization provide some, though incomplete, clarity on what will be needed. Echoing and expanding on items in CAISO’s menu of solutions, they call for economy-wide electrification with renewable generation and energy efficiency, moving to low-carbon — eventually zero-carbon — fuels, and eliminating non-combustion emissions from soils and forests, manufacturing, and livestock agriculture. California’s power industry is being transformed by its renewables objectives, according to Rothleder. The state has an installed wind capacity of 6,087 MW, an installed utility-scale solar capacity of almost 10,000 MW and an estimated 5,000-plus MW of behind-the-meter solar capacity. Getting to the needed deep and economy-wide decarbonization will require scaling up technologies now in the market like energy efficiency and renewables, and aggressively pursuing “at least one ‘reach’ technology,” according to E3. E3’s most important contribution to the discussion of reaching 100% zero emissions may be its questions about costs and risks. Market transformation will come from higher carbon prices in California’s cap and trade and low-carbon fuel standard programs that increase costs to customers. Incentives and policy can lower those costs, but if the prices are too low, they may fail to spur the needed transformations. The report focuses on a “High Electrification” scenario that is “lower-cost, lower-risk” than other scenarios but still includes the needed high levels of energy efficiency, renewables-generated power for building and transportation electrification as well as some biomethane delivered through existing natural gas pipelines. But it faces “implementation challenges” due to costs that could compromise consumer acceptance, E3 said. Consumers face “significant” upfront costs from adopting new technologies that could challenge the appeal of long-term or societal savings, the report adds. This makes individual decisions, like whether to buy solar panels or an EV, the “pivotal” factor in California’s effort. “There are many ways to get California to 60% renewables and deep decarbonization, but the first one is a more diverse energy mix with something besides more solar,” PaulosAnalysis Principal Ben Paulos told Utility Dive. Transportation electrification will also be essential to meeting SB 100’s 2045 goal because a zero-emissions grid will replace fossil fuel emissions-generating gasoline-powered vehicles, Hewlett Foundation Environmental Program Officer Anand Gopal told Utility Dive. Doing so will require “something like 10 million ZEVs on the road by 2030,” said Gopal, who coauthored a report on the future of EVs in California. Currently, the state has a 1.5 million zero emission vehicles (ZEVs) by 2025 and 5 million by 2030 goal. “The missing piece in California’s [renewables integration] policy is a structured partnership between state level policymakers and local governments,” he said. This is needed because the building and transportation electrification that will replace natural gas-powered heating and cooling with power from a 100% zero emissions grid will largely come through urban planning for “massive DER growth” at the distribution system level. “The power system should be re-envisioned as a layered architecture,” Kristov said. The question to be answered by California’s work to decarbonize is whether there should be central optimization of all DER by CAISO or coordination of DER at the transmission-distribution interface by a distribution system operator (DSO). “With a DSO coordinating DER, the bulk system does not need control over the local activity and the loss of top down control does not mean chaos,” he added. There is a predisposition toward top-down planning and control, Kristov said. But to achieve the system integration of distributed and central station renewables needed to eliminate emissions from all sectors of its economy, California needs “a statewide vision” of resilient communities. This includes recognition of CCAs and municipal and cooperative utilities, as the energy arms of local governments, and recognition of IOUs as the providers of distribution services. California Attorney General Xavier Becerra told a federal judge last week that Pacific Gas & Electric could be tried for murder or manslaughter if the utility is found to have operated its equipment in a “reckless” manner that helped to spark the state’s deadly wildfires in the last two years. Becerra filed the opinion with a federal judge overseeing the criminal case associated with the 2010 pipeline explosion on PG&E’s gas system in San Bruno, Calif., The Sacramento Bee reported. Dive Insight:The New Year is off to an inauspicious start for PG&E. The utility needs to respond to the Attorney General’s opinion by today, according to local media. However, the state’s brief is only intended to inform the court of possible outcomes — any charges would need to be filed by local officials rather than state law enforcement. Responding to Becerra’s brief, PG&E issued a statement reinforcing its commitment to public and workforce safety, along with reducing the risk of wildfire. In 2010, a gas pipeline explosion on PG&E’s system killed eight people and destroyed 38 homes. In 2015, the CPUC hit PG&E with a $1.6 billion fine in three investigations related to the explosion — the largest penalty ever levied against a public utility in U.S. history. Since then, focus has turned to California’s wildfires and the potential liability faced by utilities. The state’s “inverse condemnation” rules can put the regulated energy companies in extreme jeopardy, even if they are found to have followed all rules and regulations. California regulators and lawmakers have said they want to shield PG&E from bankruptcy, but that could still include significant structural changes for the large investor-owned utility. The CPUC in December said it is considering a wide range of possibilities to improve the safety of energy delivery, including: replacing the utility’s board of directors; conditioning PG&E’s return on equity on safety performance; reorganizing PG&E’s corporate structure to include regional subsidiaries; and splitting apart its gas and electric delivery services.